The commentary is pretty funny. Yeah, they're posing like monkeys. I'd have to say for the bands you listed, Gorgoroth is favored for me. The "Rise Of The Mutants" EP of the Minnesota-based trash metal band Impaler beats all those bands easily. 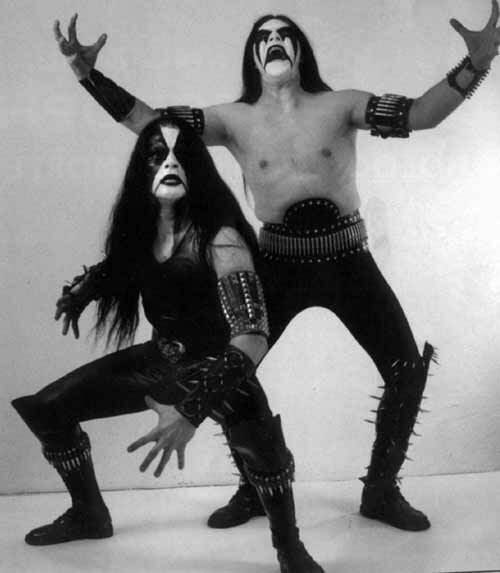 I thought black metal was supposed to be ridiculous. They really look like they spend a lot of time in front of the mirror. Now, on the other hand, I have the highest affection for men in tight spandex pants and bouffant hair who can play screaming guitar...Here is a picture of how it should be. I don't understand this music or its style. If anything it is hilarious. 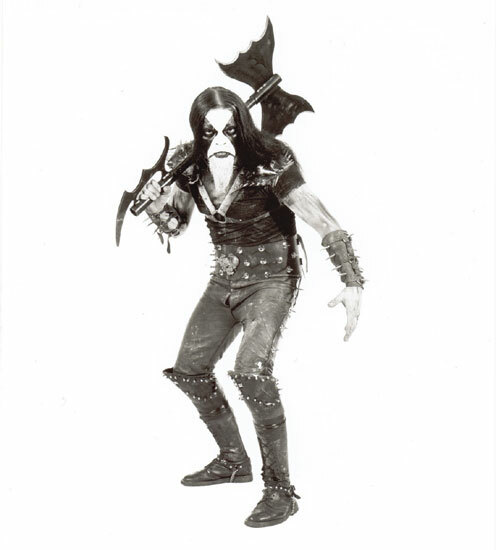 I can't imagine being scared of someone because he has weird leather clothing or face paint. Evil comes from within. I'm going to make some photos of myself in "black metal mode" tomorrow. Seriously. I'll be so evil it will make you piss your pants.